gastronommy.com: Rémy Martin gals are the best! Rémy Martin gals are the best! This week, I received two deliveries separately from Rémy Martin courtesy of two lovely women I've gotten to know over time in Singapore (and Bangkok!). Thank you Rachel Tann from Cointreau for remembering my birthday and that I'm a whisky gal. The inclusive Cointreau+whisky concoction also suggests finding a cute bartender to make it. Any volunteers? I know Asia's plentiful in men and women who fit that description! 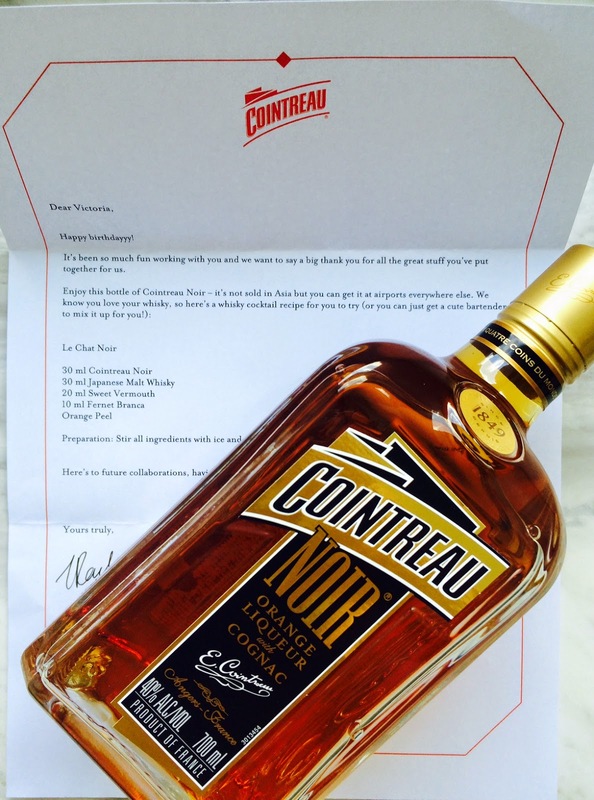 Cointreau Noir isn't sold in Asia, so you can knock my door on Saturday to try it out on my birthday. 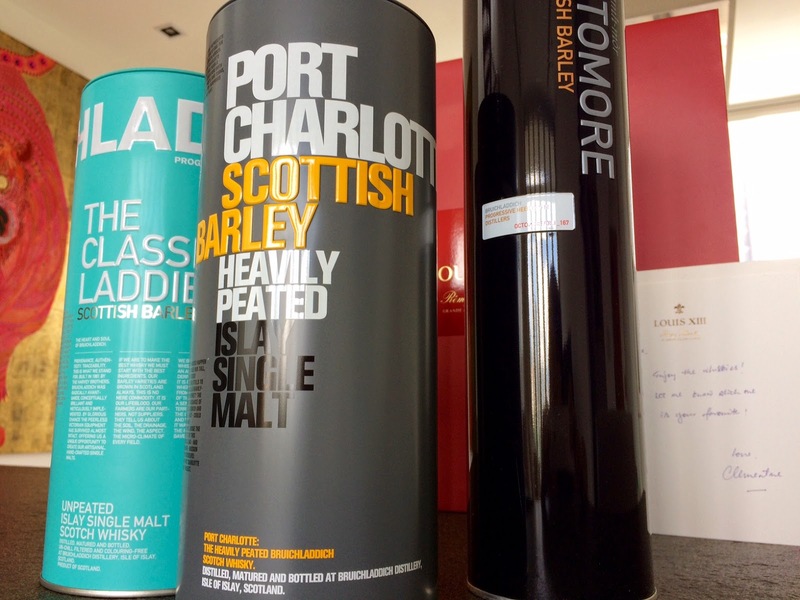 And THANK YOU Clementine Wee for this triple whammy Bruichladdich, Port Charlotte, & Octomore. A woman after my own heart and liver.